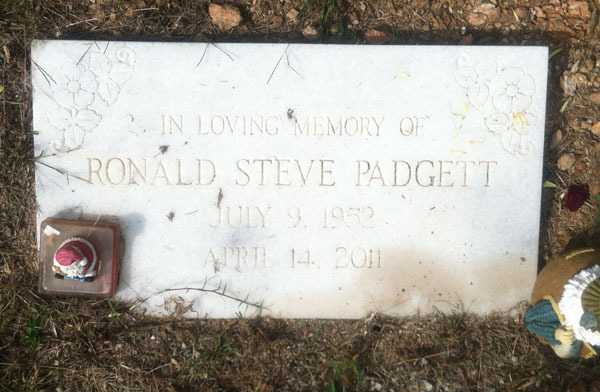 Ronald Steve Padgett, husband of Peggy Padgett. 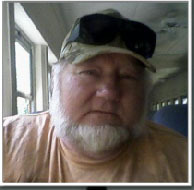 Mr. Steve Padgett, 58, of Canton passed away on Thursday, April 14, 2011 at his residence. Funeral services are scheduled for 2:30 pm on Sunday, April 17, 2011 at the Sosebee Memorial Chapel with Rev. Steve Jones and Rev. Roy Morris officiating. Interment will follow at Old Macedonia Cemetery. Steve was a retired truck driver with Tip Top Poultry. He enjoyed fishing, hunting and playing games. Survivors include his wife, Peggy Padgett; children, Steven Padgett of Canton, Greg Padgett of Jasper, and Crystall Hammons of Lewisburg, WV; siblings, Wanda Dorsey, Jerry Padgett, Randall Padgett, Wayne Padgett, Paul Padgett, Marie Francois, Don Padgett and Joyce Grant; grandchildren Serenety, Katie, Courage, Victoria, Wisdom, Nathaniel and Katrina.